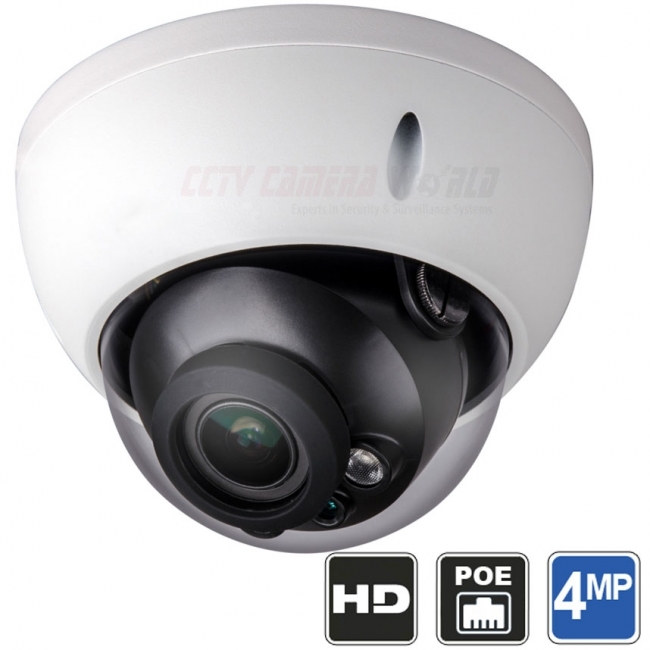 This 4MP IP camera is a outdoor dome camera with night vision and 2.7 -12mm motorized lens that outperforms most security cameras in the market when you compare resolution, frame rate, and optical zoom. If you are looking for very detailed video where you can spot a face 50ft away or farther in day or night, then this IP dome camera should be worth considering. It is economical in price, and offers a feature set not found in many other cameras. It's 4MP Progressive Scan Image Sensor produces video resolution of 2560 x 1440 pixels. That's better than a HD security camera when it comes to clarity and allows for facial detail up to 70ft in lit conditions. The camera also has 130ft of night vision which is great for home or commercial properties. The 4X Optical Zoom lens is motorized, meaning it can be controlled from a computer, smartphone, or tablet at the touch of a button to get a better view. The lens can be set between a wide 100 degree angle view, to a narrow 33 degree angle. Be sure to watch our video sample for this camera. this camera is amazing, but which brand and model is it? This is an Avalonix brand product. how does the zoom work? what else will I need for 2 cameras? Please read the following article about how to use the motorized lens on our IP cameras. For 2 cameras, you would need a 4 channel NVR if you would like to view them together and record them on one device, or you can use our free SmartPSS software to record continuously. What are the connectors on the camera? is there an RJ-45 +POE? There are two connectors. See image below. 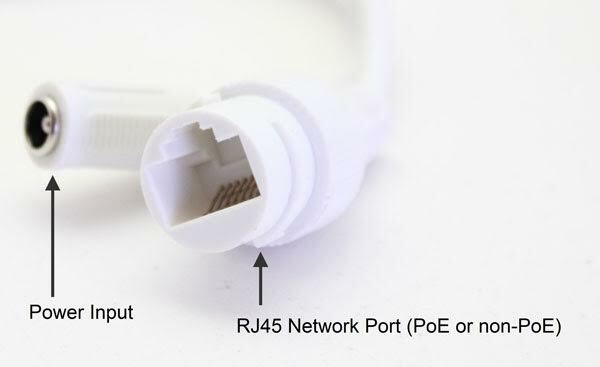 The RJ45 connector is the PoE connector.